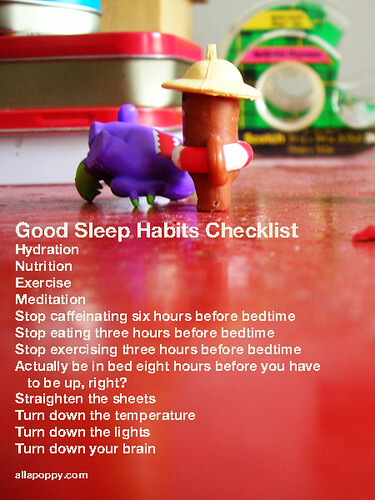 Checklists are a daily part of life, especially if you’re the organized type. You take a list to the grocery store and buy everything on the list (and nothing more). You make a to-do list and complete each item. You make a honey-do list and hope for the same results. When you plan a major project, you list the steps in order. When it comes to making a checklist infographic, there are a few things to keep in mind. 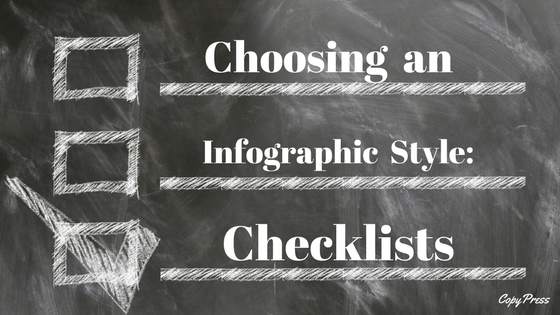 Keep reading to learn when you should create a checklist infographic and how to plan one out. 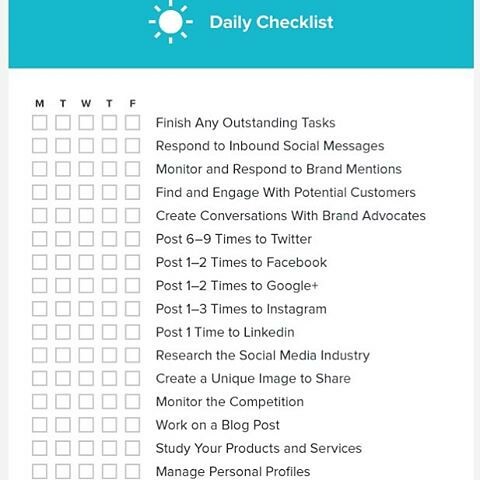 If you or someone you know is very organized, you already know how useful a checklist is. It provides a clear set of directions. It’s easier to do or build anything when the “how” is clearly defined. For these reasons, many people can appreciate the clarity and convenience of a checklist infographic. For people who worry about missing a step, you eliminate that anxiety. How do you know the car is packed for the road trip? You checked off every box on the list. Checklists work well for “how to” applications. Walk your viewer through each step in a project. You’ll keep them from missing anything, which they’ll appreciate. Make sure you know the process front and back. Outline how to tile a bathroom, for example, and follow your own plan. If you overlooked anything, you’ll find out before you publish your infographic. When your viewer can point out an omission, your authority will evaporate. You can also use a checklist to prepare for an event, like getting ready to go back to school. Brainstorm everything that must get done, from buying clothes to meeting the teacher. Next, put each task in order. Some events, like Back-to-School night, have a scheduled time. Other things, like buying supplies online, need to be done early to allow for shipping. When you save your audience from missing something critical, they’ll love you. You need to boil a lot of information into a distilled infographic. You must be accurate. Ask yourself honestly: “How well do I know this topic?” Maybe you’re an expert. If not, that’s perfectly fine. Knowing what you don’t know is an important first step. Seek out authorities on the topic. Perhaps you’ll learn about your topic through online videos or web pages. Someone out there knows plenty about your subject and is willing to share what they know. Just make sure to check with at least three experts to see if they agree. You might have learned by now that some sources online are full of sailboat fuel. If you need to converse with a real person, either face-to-face or online, you should do so as early as possible. Just because you need it done tomorrow doesn’t mean they need to help you today. Respect their schedule, make an appointment, and expect delays. On a big whiteboard or sheet of paper, scribble every thought you have on your topic. Working with others is helpful, even if they don’t know your subject. Now that you have a cloud of thoughts, circle the most powerful bits, but don’t erase or cross out anything. Cook your text down to its most condensed form until you have a concise checklist with no wasted words. Make sure your structure agrees and you have a unity of theme. A jumble of images is contrary to this goal, yet a few choice graphics will prevent monotony. Your color palate and intensity depends on your topic. For a checklist of how to tile a bathroom, use a clean, no-nonsense look. You’re a reliable contractor. Too much flash is inappropriate. Keep it white and black with a hint of color. For a back-to-school piece, keep it bright, light, and gender-neutral. Pastels are fine, but don’t use too much pink. Don’t shock or scare your audience (unless it’s a zombie-proofing checklist). You’re creating this to be helpful. If your brand has a signature color scheme, be sure to reflect that. Investigate this checklist on ways to promote your blog post by DivvyHQ. The title tells you to expect 12 tips. It lists each one clearly with a box ready for a check mark. Each step is numbered and in its own box, but the boxes vary in size to keep the eyes moving. The page is white with black text. Important points are highlighted in blue. The graphics are simple yet clear. Could you see yourself printing this page, laminating it, thumb-tacking it over your desk, and checking each box with a dry erase marker? This is what you want in an infographic. Consider all the things you need to know and do to create a checklist infographic, or any other kind for that matter. You need a data researcher to provide statistics and information. You need a writer to produce punchy text. You need an artist to make original graphics, saving you from ordinary creative commons clip art. You need a designer to pull it all together. If you are skilled at every aspect of infographic creation, consider the benefit of a second set of hands and eyes to perfect the project. Think about reduction in stress and increase in personal time. If you’re not a complete infographic wizard, accept some help. What are you best at? Do that and hire out the rest. True knowledge comes from knowing what you don’t know. Let us help.